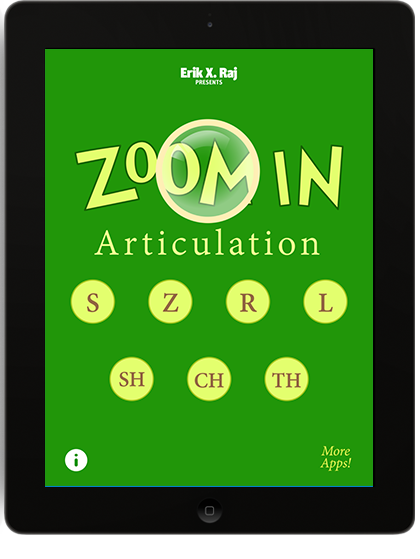 Zoom In Articulation is a fun and exciting addition to any speech-language therapy setting. This speech therapy game is jam-packed with over 450 sound-specific, zoomed in picture challenges. The goal of Zoom In Articulation is simple; guess what the close up picture is! Each round begins with an ultra zoomed in shot of a sound-specific picture. Make educated guesses by taking into consideration the color, texture, and/or any other clues that might jump out at you! 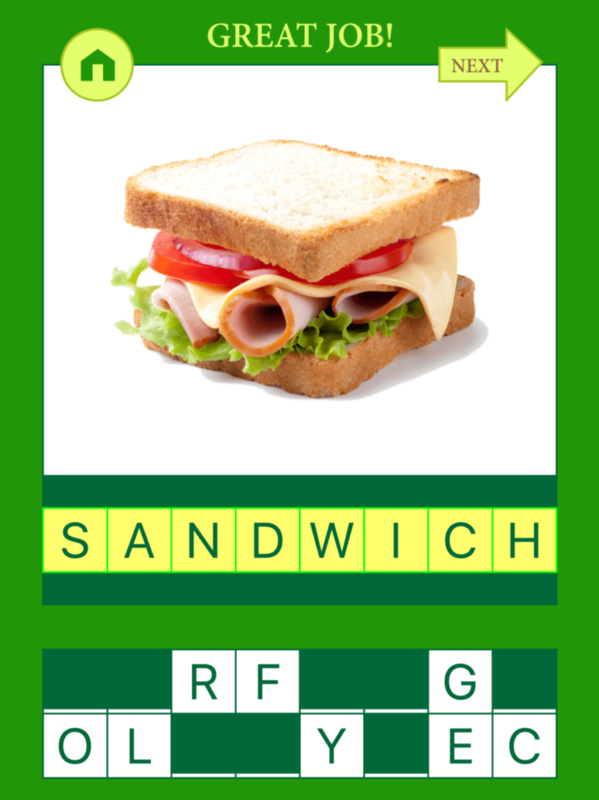 Stumped? 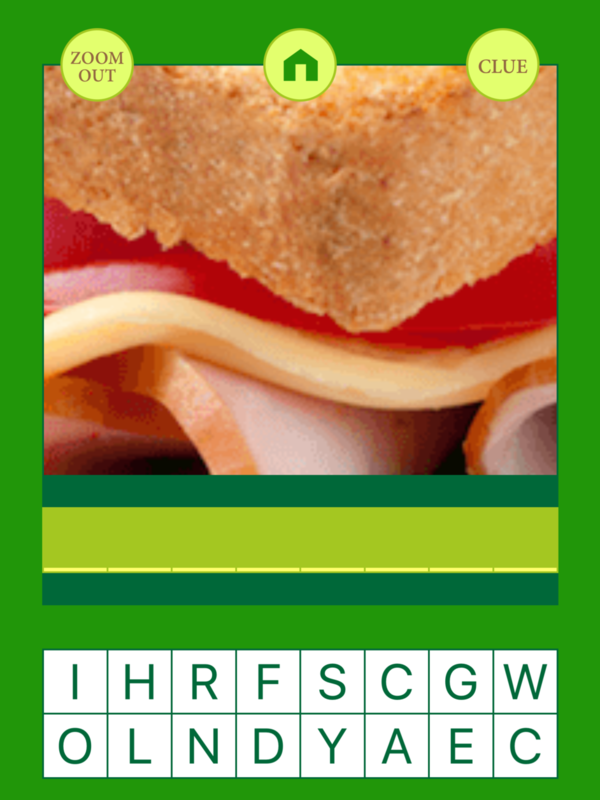 Don’t worry because you can tap the ‘ZOOM OUT’ and/or ‘CLUE’ buttons for a bit of help. Tons of sound-specific pictures: with just a tap of a finger, children and clinicians can begin to take one of 450 sound-specific, zoomed in picture challenges! 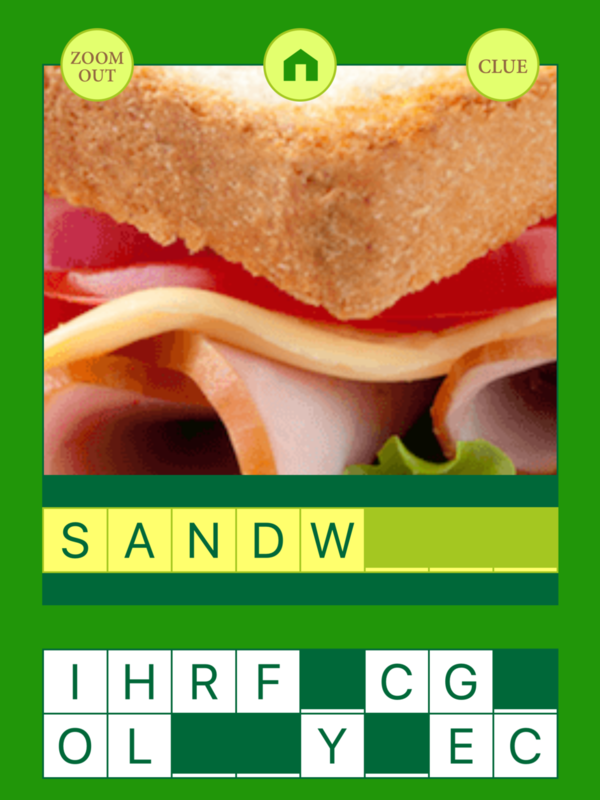 This speech therapy game was designed for speech-language pathologists to use with individuals who exhibit difficulty producing the following speech sounds: S, Z, R, L, S/R/L Blends, SH, CH, and TH. It is intended to aid in the remediation of articulation impairments, as well as to help increase word recognition and vocabulary expansion because clients often need practice in more than one area of speech and language development. 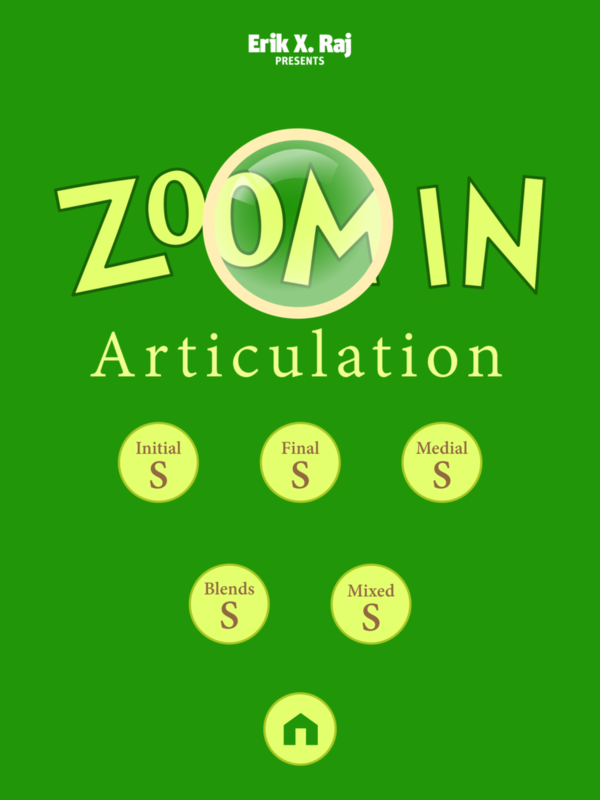 Zoom In Articulation is intentionally multifunctional! Traditional speech therapy that focuses on improving articulation abilities can usually get stale and boring, but through Zoom In Articulation, speech therapy can easily become an enjoyable and friendly competition that strengthens students’ attention, concentration, and pronunciation. It is the hope of this speech-language pathologist that by encouraging students to participate in this speech therapy game, they will be able to practice their overall articulation in a way that can lead to fabulous gains toward mastering their speech therapy goals and objectives. Hooray! The structure of Zoom In Articulation is a departure from traditional articulation drill work and is effective for students ages 6 and up. With this speech therapy game, clients have a blast challenging their friends and classmates outside of the speech therapy room, further practicing their articulation skills and thereby facilitating the sometimes difficult stage of carrying over newly-acquired skills. 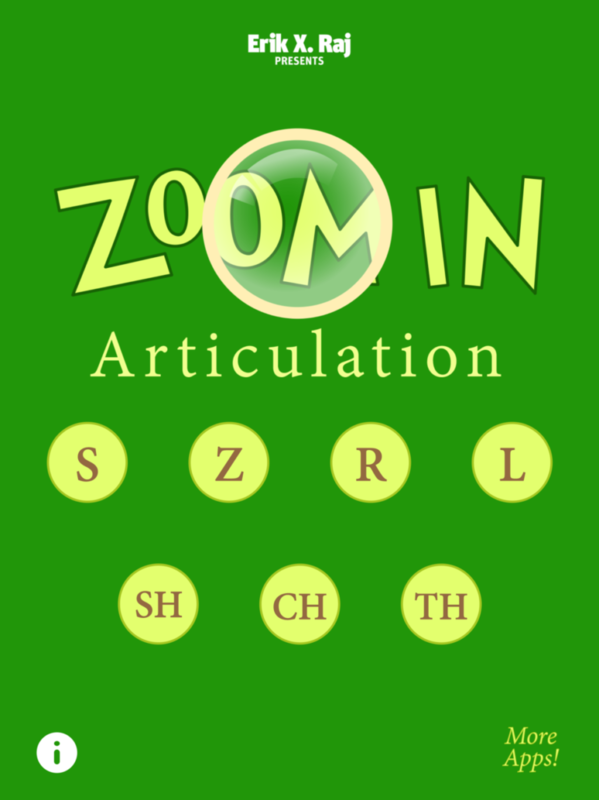 By playing Zoom In Articulation with the client, paraprofessionals in the classroom and/or parents at home can reinforce the client’s skills while sharing an entertaining activity. Practicing communication skills in environments outside the speech therapy setting increases opportunities for generalization of communication skills. Regardless of when, where, or how Zoom In Articulation is used within the speech therapy session, one thing is certain, children (as well as clinicians) will have a blast playing this speech therapy game . . . and in the process, they will continue to practice the correct pronunciation of their sounds at the word level.